Install the intake manifold studs in the manifold face and tighten to 15-Y (11-lb-ft). Install the intake manifold-(1). Start and hand tighten the intake manifold boltsand nuts. Tighten the bolts and nuts in sequence to 25-Y (18-lb-ft). 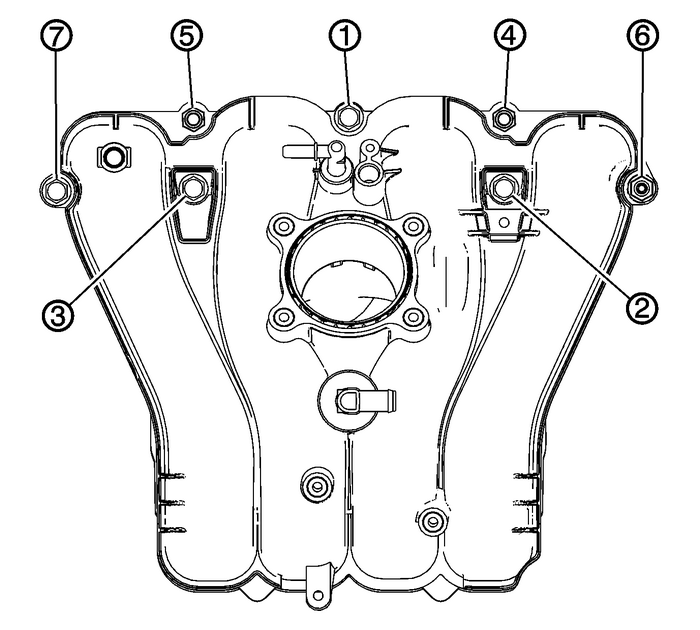 Install the intake manifold insulator-(2).Install the insulator bolt and tighten to 10-Y (89-lb-in).Install the fuel rail harness connector bracket-(1) to the intake manifold. Tightenthe bracket bolt to 10-Y (89-lb-in). 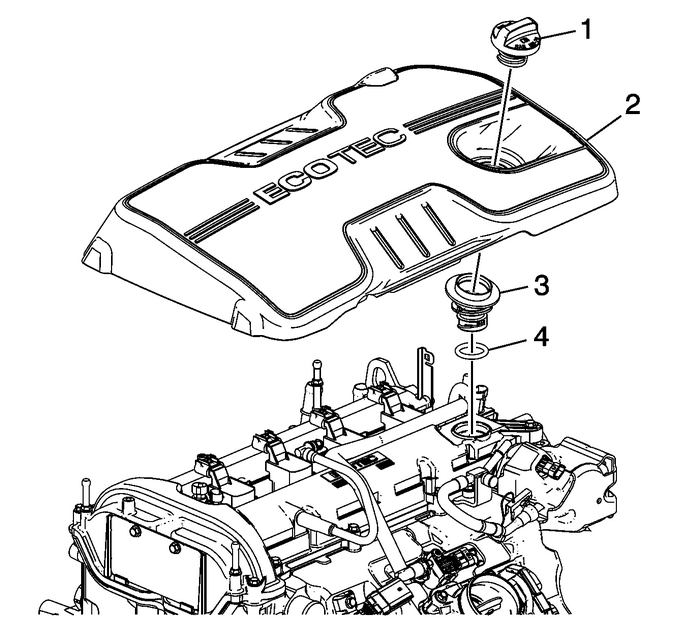 Use the EN-48896 alignment gauge-(2) to ensure that the camshaft lobe is in the base circle position. At base circleposition, the tool will be flush with the head-(1). 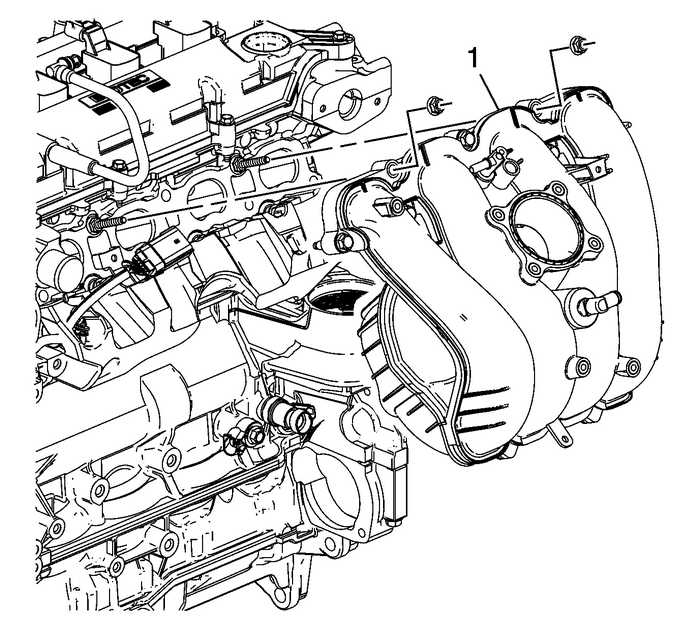 Note:Ensure that the high pressure fuel pump roller lifter is oriented properly, the camshaftis at base circle, and the number-1 piston is at top dead center-(TDC) on the exhauststroke. The distance from the mounting flange surface to the camshaft at base circleshould be 52-mm (2.05-in). 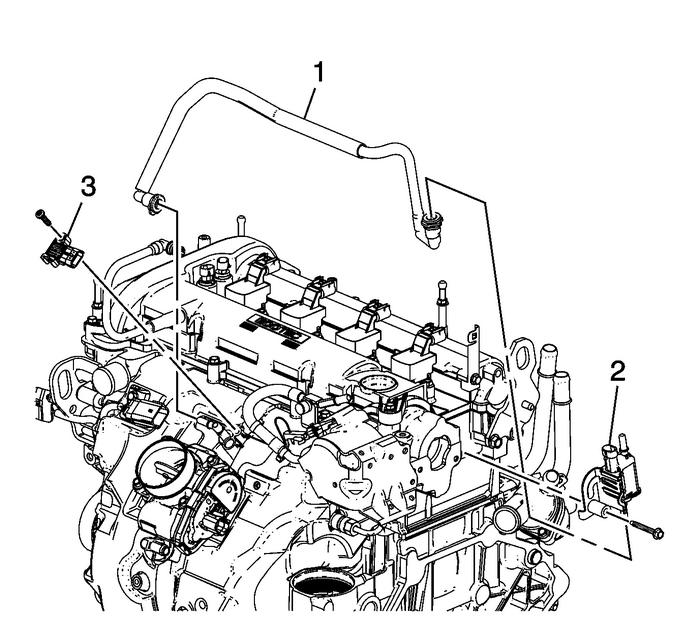 Lubricate the high pressure fuel pump roller lifter-(1) with 5W30 engine oil and installinto the cylinder head bore.Install a NEW fuel pump housing O-ring-(2) and gasket-(3). 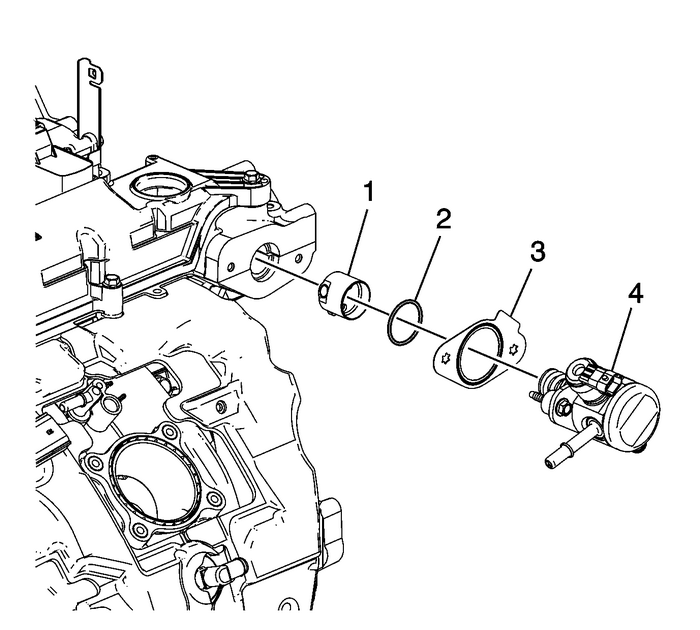 Install the fuel pump assembly-(4).Start and hand-tighten the fuel pump assembly bolts evenly. 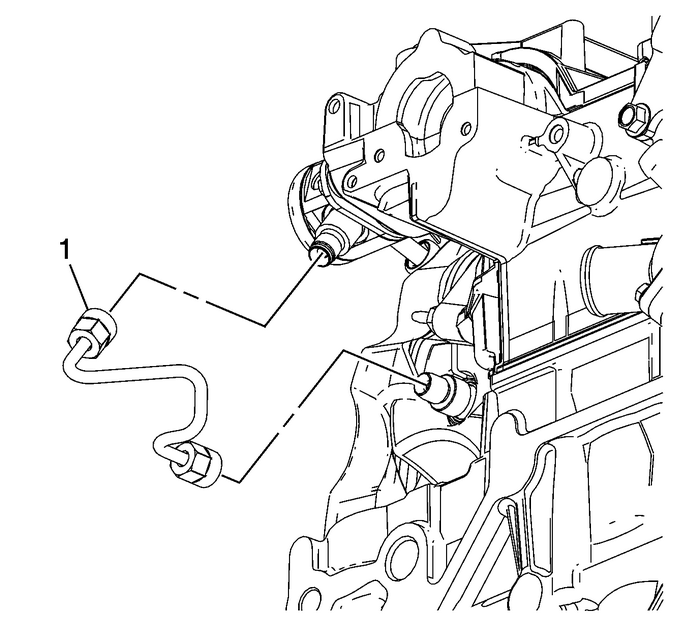 Tighten the fuel pumpbolts evenly to 15-Y (11-lb-ft). Install and hand-tighten both ends of the NEW high pressure fuel line-(1). Tightenthe high pressure fuel line fitting nuts to 30-Y (22-lb-ft). Install the fuel pump insulator-(2). 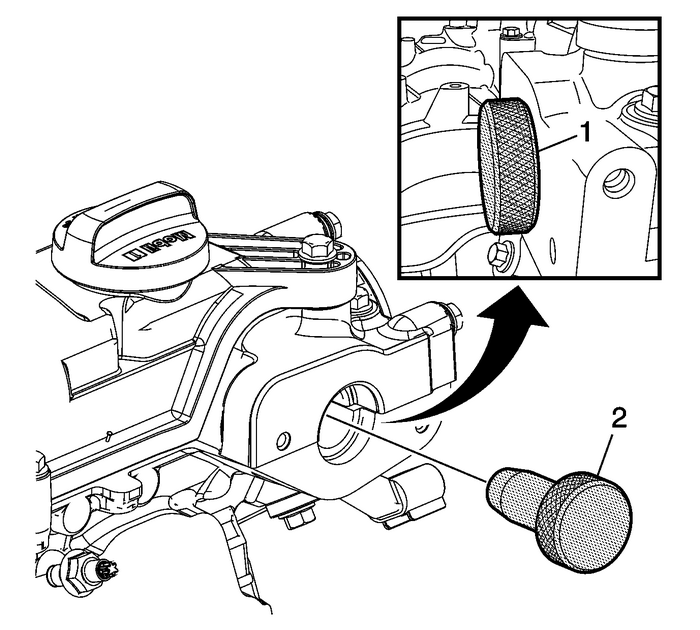 Install the low pressure fuel pipe assembly-(1).Install the fuel pump cover-(3) and nut. Tighten the nut to 10-Y (89-lb-in).Install the fuel pump cover bolts. Tighten the bolts to 10-Y (89-lb-in). 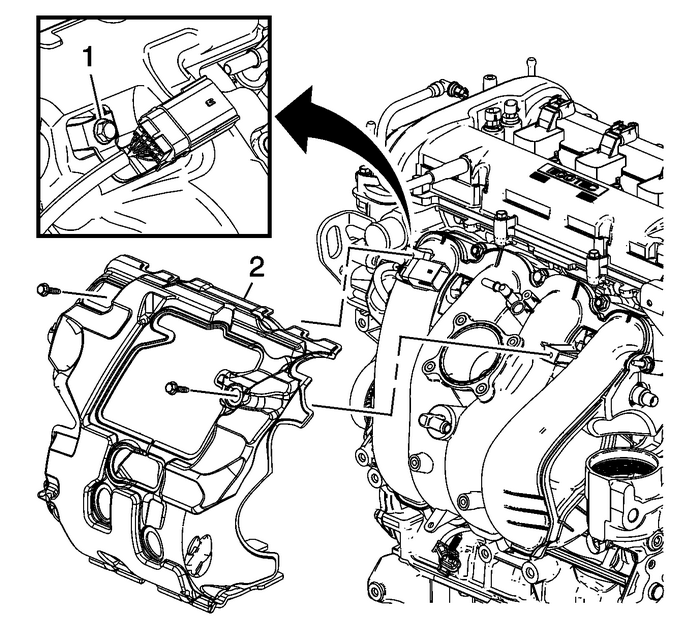 Install a new throttle body gasket.Install the throttle body-(1).Install the throttle body bolts and tighten to 10-Y (89-lb-in). 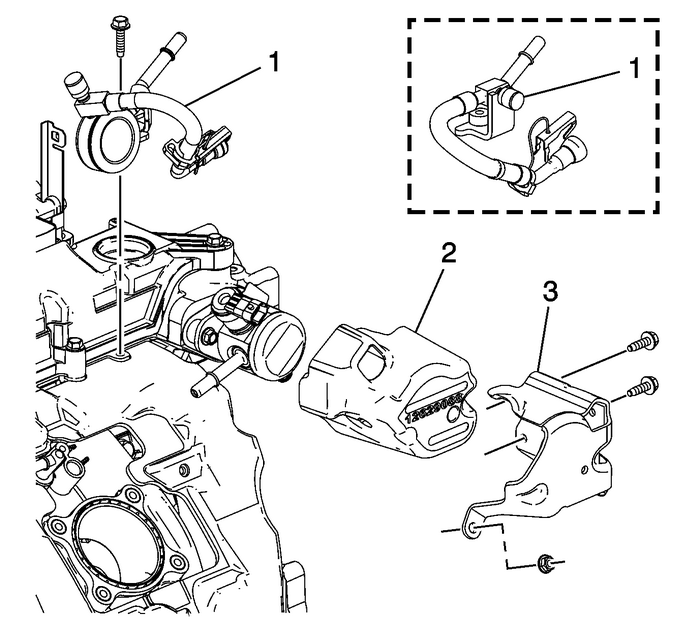 Install the MAP sensor-(3). 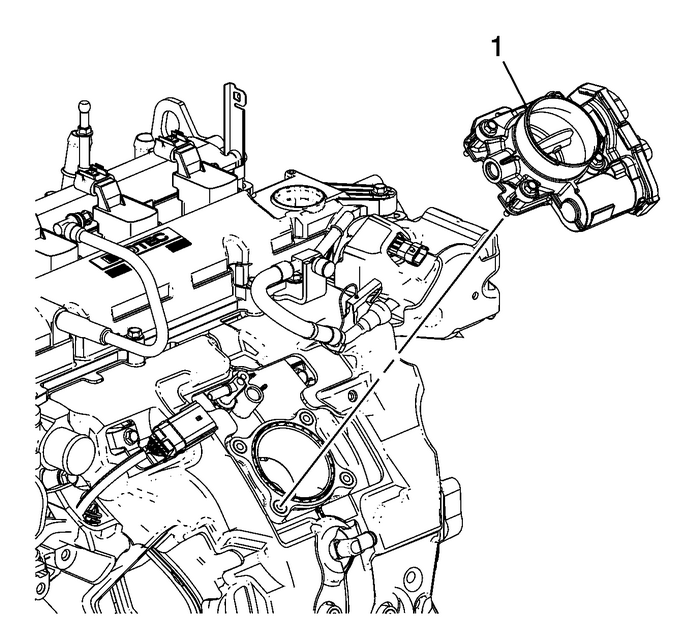 Tighten the sensor bolt to 4-Y (35-lb-in).Install the EVAP canister valve-(2) and tighten to 25-Y (18-lb-ft).Install the EVAP canister valve tube-(1). 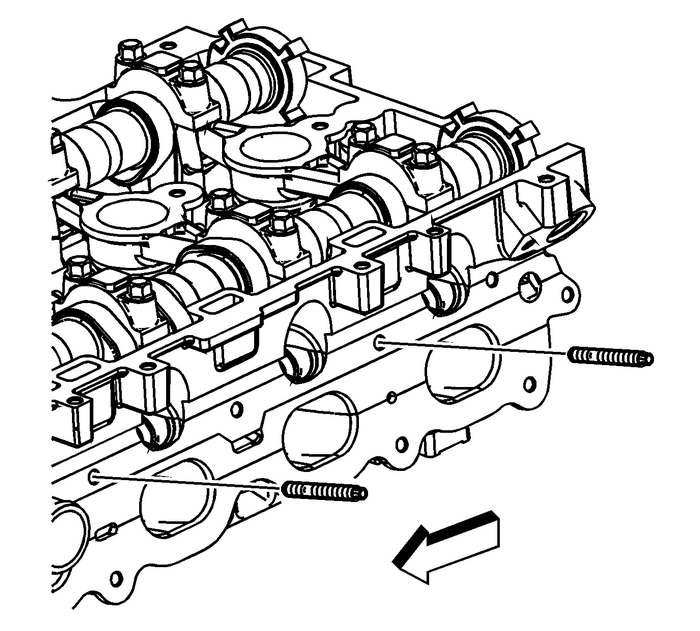 Install the O-ring and oil fill tube assembly-(3).Install the intake manifold cover-(2) onto the camshaft cover ball studs.Install the oil fill cap-(1).